Think beyond the standard. The lavish golden color in the Staybull® line of recycled Maple Flooring will make any room brighter, more lively. A wide-plank maple floor always makes a statement. When you add on the unique grain variations, you’ll also own a space that complements both modern and contemporary themed interiors. Build beyond the standard. 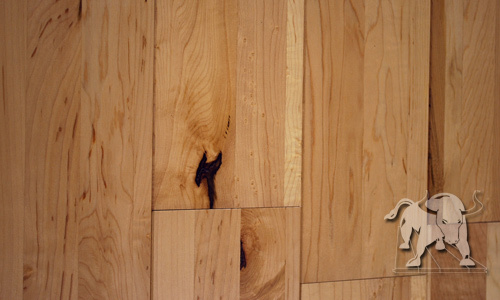 Choose eco-friendly Maple flooring from Staybull Flooring®. Get your free sample of eco-friendly Maple Staybull Flooring® today. Color ranges from creamy white to reddish brown. Grain is typically straight with some wavy areas. The grain is straight.